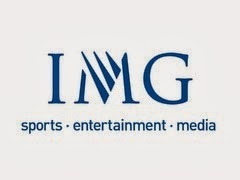 IMG, the world's leading sports, fashion and media company, for worldwide management and marketing representation, today announced it has acquired the Golf Business Forum and the Golf Business Community, widely regarded as the most established business to business network for professionals within the golf industry, from KPMG. Golf has been the cornerstone of IMG since the legendary Arnold Palmer became IMG's first client in 1960, a moment widely credited as marking the creation of the sports marketing industry. The acquisition of these assets is a natural fit as IMG bring their industry-leading expertise and energy to the already established and respected Golf Business Forum (GBF) and Golf Business Community (GBC). IMG will continue to work with KPMG in an on going partnership in the years ahead on both projects. The GBC is a platform for individuals within the golf industry who are interested in building and maintaining relationships, along with accessing golf research and golf industry news. The GBF has been running since 2004 and serves as the platform for golf industry professionals to meet, learn and exchange ideas. Bringing together the entire spectrum of the golf industry, the GBF has been attended by many of the leading names in golf including Gary Player, Jack Nicklaus, Arnold Palmer, Sir Nick Faldo, Peter Dawson and George O'Grady . From developers and investors to operators, owners and journalists, the GBF attracts more than 250 delegates from over 40 nationalities. IMG plan to build on the success of the event by widening its global appeal and content whilst continuing to grow the extensive network of professionals focused around the game of golf. IMG Worldwide is a global sports, fashion and media business, with 3,500 employees operating in more than 30 countries around the globe. IMG's areas of expertise are diverse and wide ranging: IMG College; IMG's Joint Ventures in India, Brazil, China and Turkey; IMG Media; IMG Events and Federations; IMG Golf and IMG Tennis; IMG Fashion; IMG Models; IMG Art+Commerce; IMG Clients; IMG Academy; IMG Consulting and IMG Licensing. More information is available at www.imgworld.com. Follow us on Twitter and Facebook. IMG Golf is the market leader in the sport with 50 years of experience and now nearly 500 staff working in different aspects of the golf business worldwide. This involves talent representation where the business started and IMG now works with over 100 of the best male and female players from over 30 countries. IMG owns, manages and stages more than 50 golf tournaments a year on every continent and on every Tour including Majors and World Golf Championships, along with special events and over 150 VIP golf days a year worldwide. IMG Golf is involved in every aspect of the game offering its partners a 360° fully integrated service and its core businesses include Media (with IMG Media in partnership with the European Tour and the Asian Tour via European Tour Productions and Asian Tour Media) and Golfing World as well as digital and social media, Golf Course Design and Management, Sales and Advisory Services, Corporate and Federation Consulting, Hospitality, Academies, Licensing, Publishing, Speakers, Broadcasters, Bid Consultancy, Corporate and Individual Brand Development. Golf was IMG's first sport and remains at the heart of IMG’s global business. KPMG is a global network of professional firms providing Audit, Tax and Advisory services. We operate in 156 countries and have more than 152,000 people working in member firms around the world. The independent member firms of the KPMG network are affiliated with KPMG International Cooperative (“KPMG International”), a Swiss entity. Each KPMG firm is a legally distinct and separate entity and describes itself as such.